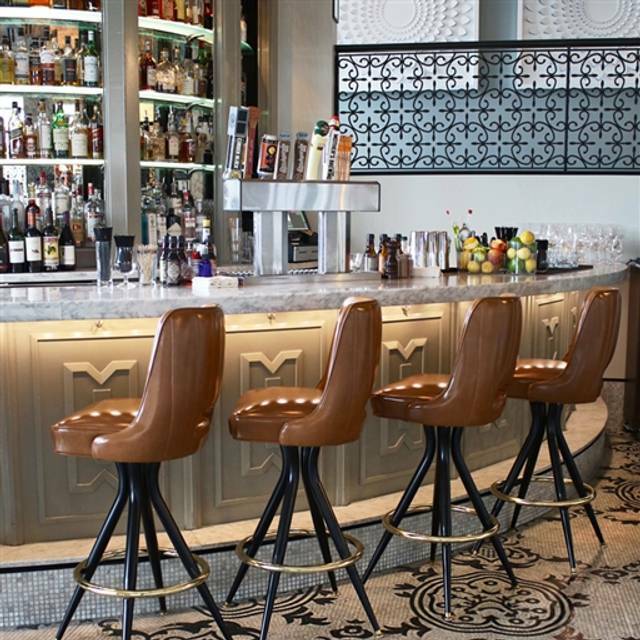 Handcrafted cocktails never tasted better than with a front row seat to Kansas City's best live music! Bring your friends and nosh on a selection of share plates while enjoying live musical performances performed by a rotating cast of talented local musicians. Tuesday, Wednesday and Friday, 6pm to 10pm as well as during Weekend Brunch from 11am to 3pm. 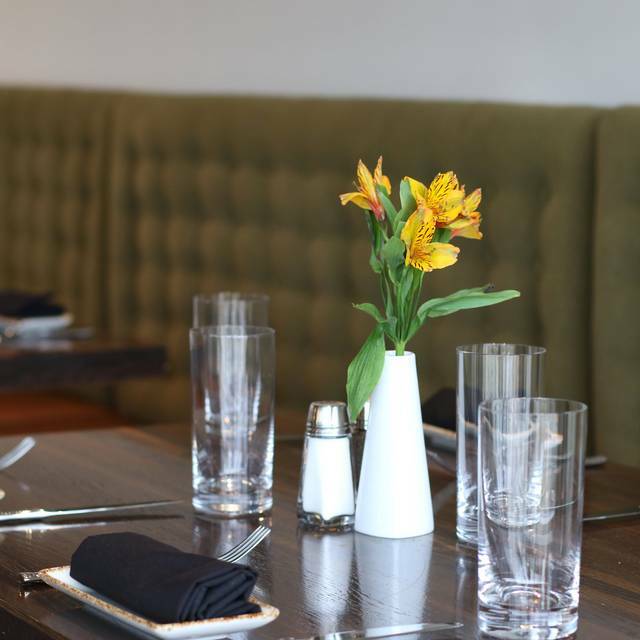 Host your next special occasion at Parker! 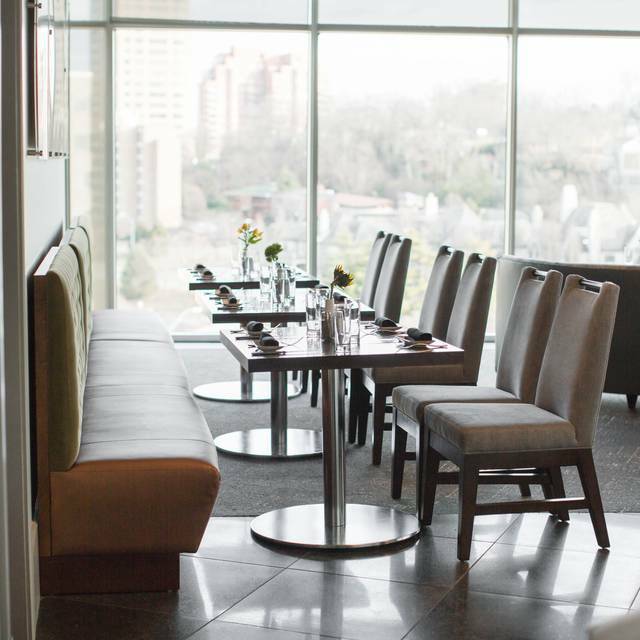 With two private dining rooms, delicious cuisine, adjoining rooftop pool deck and treetop views of the Plaza, Parker is the ideal choice to make your event memorable. Contact us today at parker@thefontainehotel.com for more info! 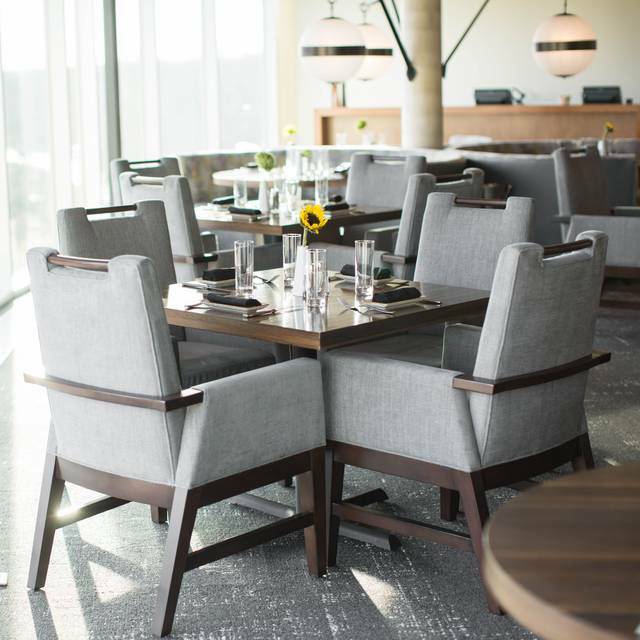 Introducing Kansas City’s newest social dining experience, Parker at The Fontaine. Serving a progressive take on new American classics with local soul, our talented chef Ryan Spruhan leans into the heart of Kansas City with seasonally driven cuisine, locally sourced ingredients, artful technique, and a nod to past and present. Shareable plates, craft cocktails and Parker’s rooftop location welcome you to come as you are for an elevated experience you won’t soon forget. Enter, explore, and enjoy! 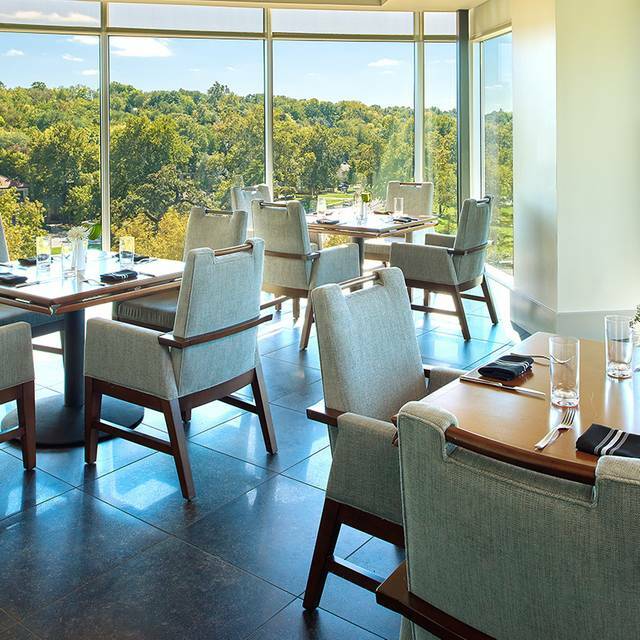 The Parker is pleased to exclusively offer a 3-course, prix-fixe menu priced at $45 per guest. Additional menus details coming soon! Wait staff was great and food was top notch. The air conditioning was working,as it was about 62 degrees in the booth we had. Had lunch with a friend on Wednesday. Reservation was at 11:45. We were the only two people in the dining room the entire time. We were seated right away with drink order taken. Drinks delivered (water and soda) and food order taken. I ordered a Caesar salad (it was listed on the menu on website but not on actual restaurant menu) so it took a few minutes to find out if the kitchen could make it. The waitress had no idea so she had to ask someone else to find out. Friend ordered a different salad. Then the waitress and other person working disappeared. Brought salads back 10 minutes later and disappeared. Never offered to refill drinks. I got up to grab a pitcher of water on a tray across the room to refill my own glass. We were in the dining room for nearly an hour. I don’t remember anyone checking on us once the food came. It was strange. Felt like restaurant was closed and we were there alone. Servers were friendly but absent. Food was meh. Probably won’t return. Very nice menu, lovely room and excellent soft jazz being played on the adjacent balcony. We really enjoyed it. Three of the 4 us had the avocado smash & it was a hit ! We would recommend it and would return if again find ourselves in kansas city. Much was disappointing about the experience, but most disappointing was the poor quality of the cooking. The halibut was slightly overdone and got progressively drier as it sat, and the heritage pork was so dry and overcooked it was mostly inedible. We went to the park or for a Saturday brunch. The view is outstanding! Service was first-rate, and the food was good. This place will impress you. We had brunch at Parker at the Fontaine on St. Patrick’s Day. There was a group of 6 of us, and none had been here before. The view was amazing, and the restaurant decor was very well done. There was a jazz trio playing, and although it was a little louder than I would have preferred, it created a nice ambiance. Service was attentive. The server was knowledgeable when we had questions about the menu and cocktails. The food was delicious and quickly devoured. Two of us had the avocado smash, and the ingredients all blended together well in this dish. Two of the guys got the classic KC breakfast and loved it. Another person had chicken and biscuits and said it was great. One friend said the eggs Benedict was the best he’d ever had. We will definitely return. My wife and I had dinner at the Parker for a special occasion. We had excellent food. I had sea scallops. Service was wonderful. We went the next day for breakfast. Food was again wonderful. I had avocado toast and my wife had a smoothie and pastries. The presentation was unique. Foodies and non- foodies appreciate this kind of place. A very nice dining experience from the moment we entered until we departed. Great service, fantastic food and fantastic view. Went here for brunch on a Sunday morning! We started by ordering drinks, only to be disappointed that they didn’t have bottomless mimosas - as they advertise on their instagram. The food we tasty, however the service was slow for how few people were there! Everyone was very nice and it is a nice atmosphere! They also had live music which was nice background for our brunch! We had a wonderful brunch at the Parker! Great view and atmosphere, delicious food as well! Looking forward to dining there again! It was really loud. I did have to motion to our wait staff to come over as she was busy chatting and my guest had finished their wine and wanted another glass. I don't mind her chatting as long as she is also attentive. Had just got married and went with our parents to celebrate. Made reservations ahead of time and had requested some appetizers be prepared for us and ready to go when we got there and they wereore than accommodating. We celebrated with a bottle of champagne and had a wonderful afternoon. Beautiful hotel and restaurant. Great service!! 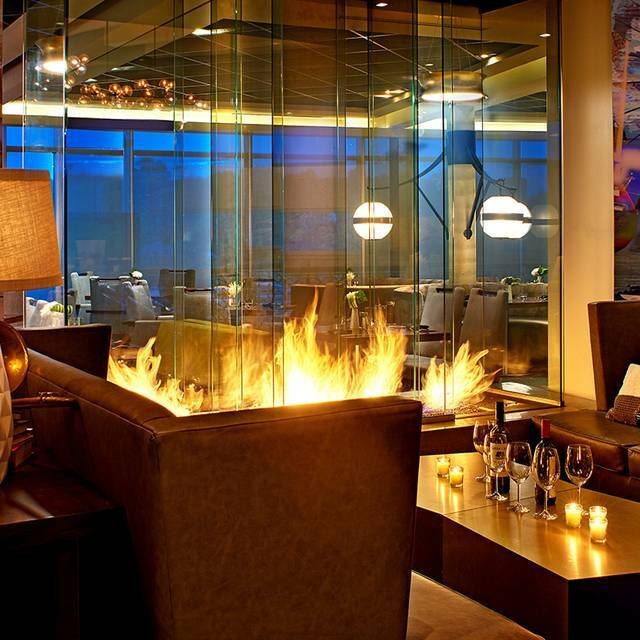 Really enjoyed the meal by the fireplace, great atmosphere. Food very good. Service outstanding. would definitely recommend and would go there again! 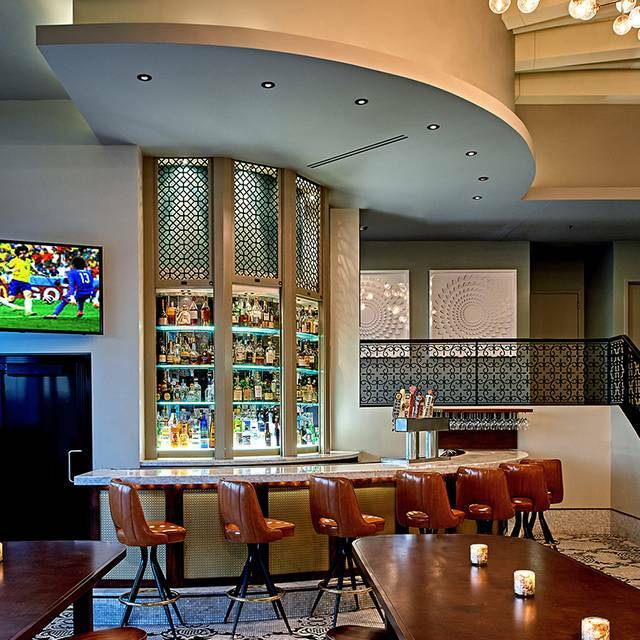 The atmosphere is upscale contemporary. The food was delicious and creatively designed. This is a good place for a business lunch because it is quiet. 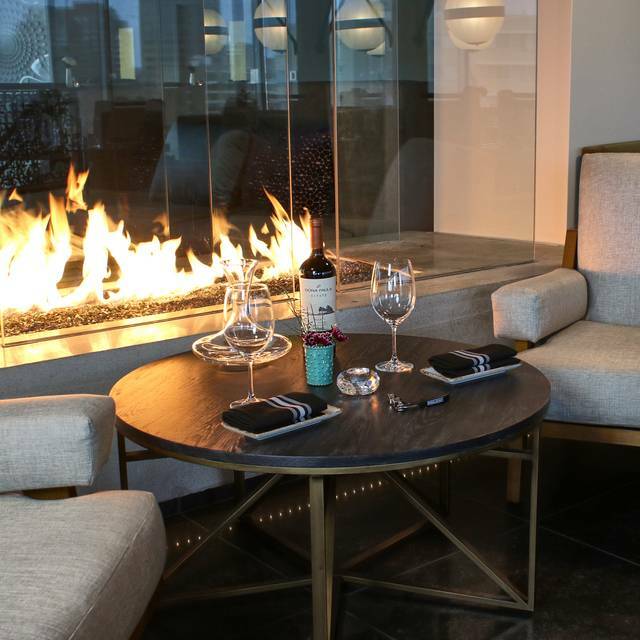 Also good for dinner because of the view of the Plaza and the fireplace. wish we had found this place sooner, we met some of our out of town guest there for dinner, the views are great and the food is amazing, my wife and I both had steak which was cooked perfectly how we ordered it. the service was on point as well. Just after sitting down, our server came over, gave us water and let us know they were out of “99 percent of the menu.” They had fried chicken and one steak (as long as the other occupied table didn’t order it). We left. Only gross mismanagement could result in this. The space is nice. The view is amazing, especially with the snow coming down. But that’s where the magic stopped. The staff was not knowledgeable about the drink menu, mispronouncing common wine names and not knowing basic grape types. “Riesling is a white wine, so yeah.” On the subject of wine, the wine selection would be good for a sports bar, not a fine dining establishment. The Prosecco on the menu is $9 a bottle at any liquor store, and the cab is about a $12 bottle. Onto apps: we got the cheese and charcuterie board, which I could have put together for $5 at any grocery store ... a small pile of blue cheese crumbles and about four small pieces of crumbled white cheddar. My wife ordered the stew and a Caesar salad with a side of mashed potatoes (because the restaurant was out of salmon, mushrooms, elk and quail). I ordered the steak. Her stew was decent but very salty. The side of potatoes came out with her stew as a starter ... what the what? When the entrees arrived, I found my steak cooked to order and delicious. My wife’s “entree salad” was served with an overcooked, salty piece of sea bass and unseasoned white bread croutons that tasted like stale bread on a plate the size of a side plate. After all of this, we thought about ordering dessert but the restaurant was out of three of them. We decided enough was enough at that point. I’m just shocked at the descent of this restaurant, from food to unknowledgeable servers to lack of options. There’s no excuse to being sold out of items, especially since it was apparently a new menu AND we were the first table of the evening. Valentines dinner was bad. Deserts were inedible. Soup was unappetizing. Great steak and sea bass. Reasonable wine options. Out of all the fine dining in KC, this was the by far the worst. Between the service; temperature, flavor, and plating of the of the food; and the drinks on the menu that were not available (despite a $70 per person menu); I’m not sure where to start. Suffice it to say I will not only not recommend this place if asked, I will actively steer people clear any time fine dining is discussed. The view is awesome the staff was top notch. Menu isn't my kind of food, but the starters were awesome. Great drinks also, I go to this bar allot can't beat the drink value. The restaurant atmosphere is very romantic and inviting. All of the staff were courteous and helpful. Unfortunately, our waitress was new and could not explain some of the items on the menu. I ordered the Elk and was very disappointed. I know it is a lean cut of meat but it was dry and where it had been braised was very hard. It was served with a risotto cake that was excellent. The mocha au ju was a great touch when I finally figured out what it was. My husband ordered the rib eye medium rare and it was beautifully prepared, tender and juicy. I had a martini (Ellie's whip), it was amazing! We probably will not return. We celebrated my husband's birthday at the Parker at the Fontaine on the MLK, Jr. holiday. The food was superb as was the service but they struggled with the Open Table software. 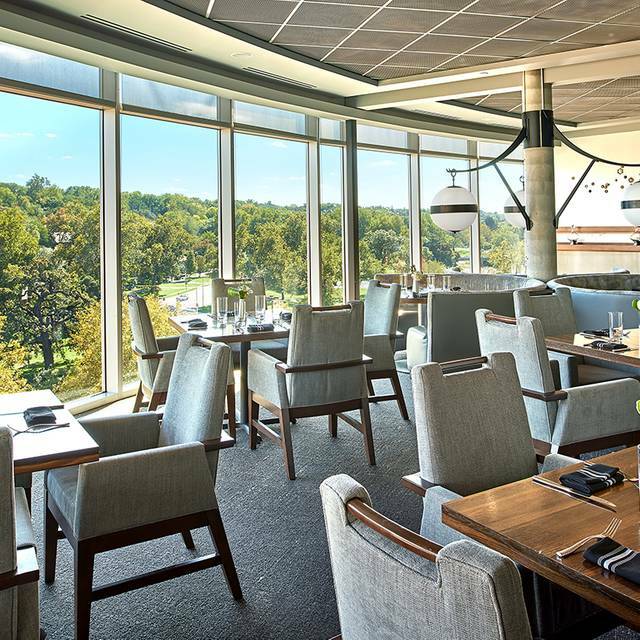 The view over Brush Creek was lovely as was the restaurant itself. The pasta bolognese was amazing and service was outstanding! Came in for restaurant week, had a great lunch! Service was attentive. Wonderful drinks with a great view! Great dinner spot with amazing views of the plaza, solid restaurant week menu as well. Design style was great and the food was good, however, it was a very dead atmosphere. Even with the lack of customers, the service was slow and not on par with a nice restaurant. The Parker affords great service and food. In addition, the view is incredible. Surprising little hotel restaurant. The view was outstanding from the seventh floor (especially since we were there while it was snowing). Ambience was nice and quiet. The restaurant itself is beautiful and the sunset view was stunning. We were seated immediate after using the complimentary valet service and ordered drinks. They were pretty good. The cheese fritters stole the show and we were surprised that the strawberry basil preserves went so well!!! My meatless entree was pretty good though could have used about 1/4 of the gigantic serving of farro and a simple side salad... Husband loved his steak. Dessert left a lot to be desired however. It was a super dense and overly sweet flourless chocolate cake. More like fudge. We ate very little of it and enjoyed every drop of the cappuccinos. The couple next to us were making a bit of ... ahem... awkward noises. (LOUD lip smacking kissing lol!) but otherwise the ambiance was classy and laid back. Horrible service. No server for over 30 minutes so we just sat there. Great view but unless service gets better will not be returning. Nice room, good food, friendly but not enough service. The lighting was harsh and could be fixed with warmer bulbs. Bar was good. Timely seating. Quiet table for our business meeting. Great food and service. We dined at the Parker twice this summer and it was fabulous. Since then the ownership and menu have changed and changed for the worse. Lousy menu, and snarky server. We won’t be back and it’s a darn shame since the location is terrific.